Based on our expertise and over 25 years experience in sales, marketing, planning, and management in selected industries such as: equipment manufacturing, food processing, foodservice we publish books that help small businesses: to start up successfully, to reduce the potential risks, to get necessary financing, to promote business, to organize and manage day-to-day operations, to improve the sales bottom line, and find answers to many other practical questions that small business owner meets every day. 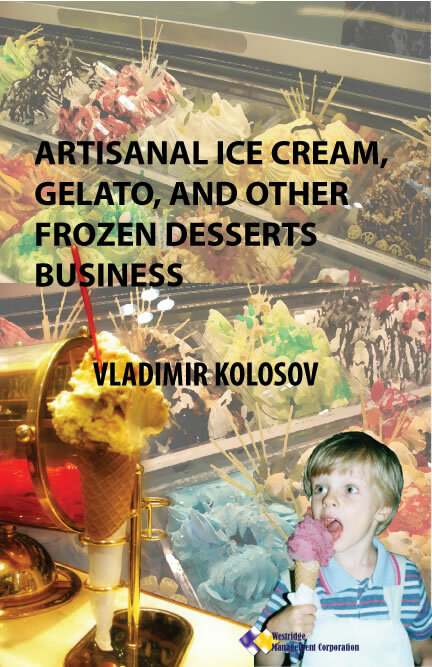 "ARTISANAL ICE CREAM, GELATO, AND OTHER FROZEN DESSERTS BUSINESS"
This book is the first and currently the only business resource in artisan ice cream and gelato industry. 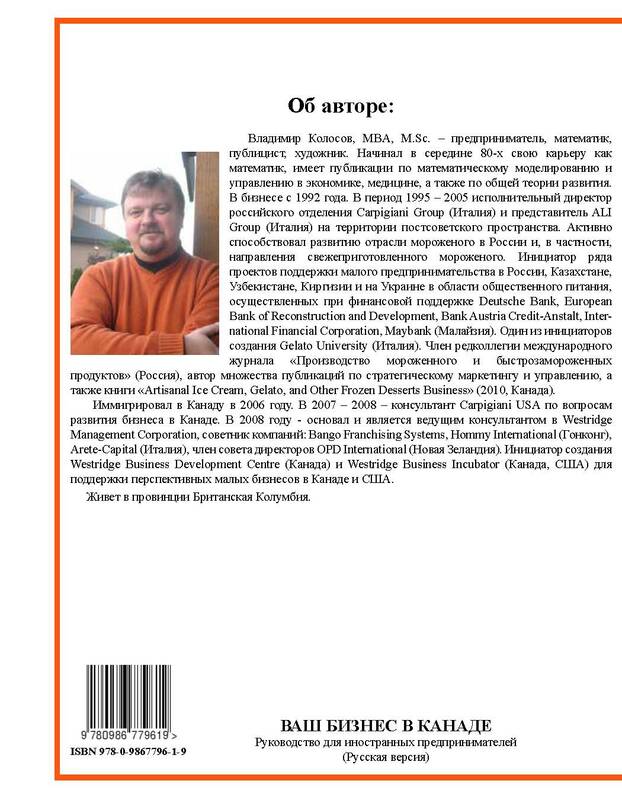 It helps to organize business and successfully compete on the market. 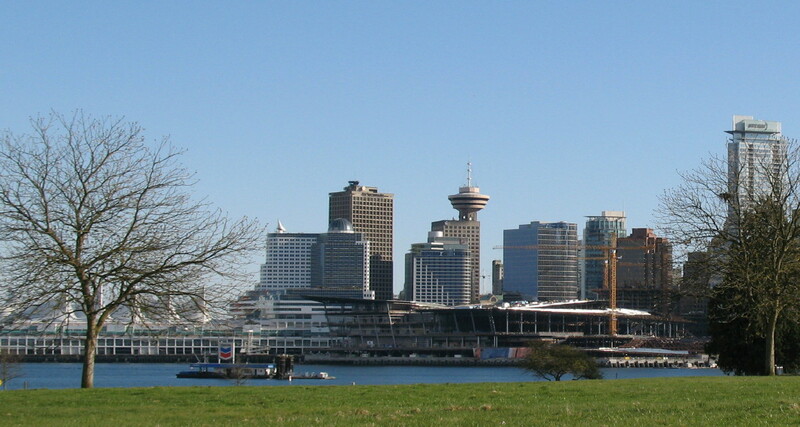 legal and tax issues, and much more. 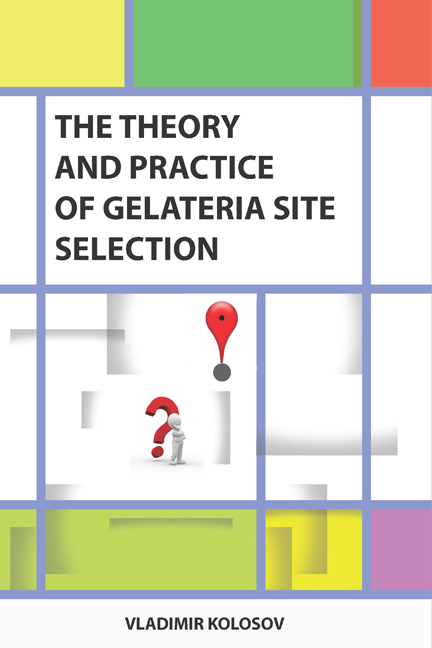 "THE THEORY AND PRACTICE OF GELATERIA SITE SELECTION"
The site selection is one of the most difficult task to solve for entrepreneur who wants to start gelato business. "The theory and practice ..." is the clear and plain guide how to evaluate location wherever it is, how to estimate the future capability of gelato business for any particular location around the world. 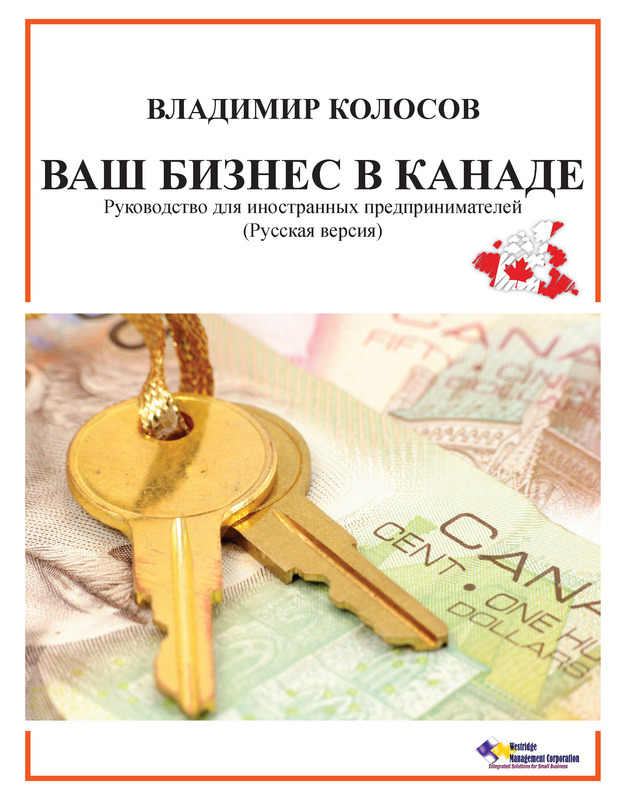 This guide combines knowledge from various disciplines, such as: demography, psychology, geography, economics, finance, mathematical statistics and methods of optimization, and provides entrepreneur with powerful strategy and resources that helps resolve the task of the proper site selection efficiently. This book was written exclusively for Carpigiani Gelato University.